A lot of my work here at Alternate Histories is just silly monster fun, but one thing I take seriously is voting rights! 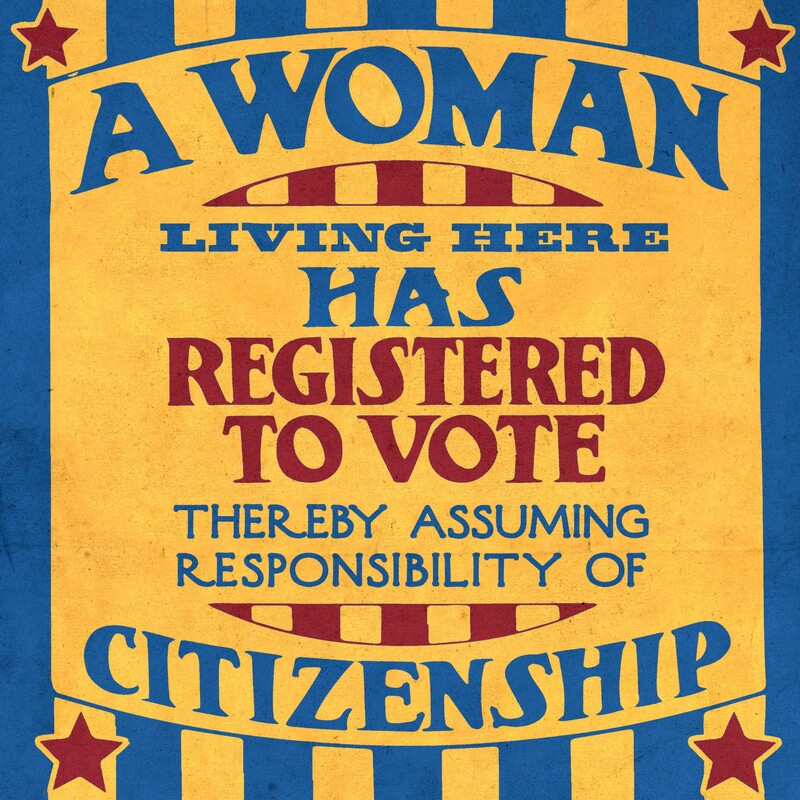 Recently my friend Andrea Laurion posted this image online and I absolutely loved it; it's from the Women's Suffrage movement that led to the passing of the 19th Amendment. Unfortunately the original image wasn't in great shape, having been passed around and reposted online so many times, so I decided to refresh it and make it into a downloadable, printable image for the upcoming midterm elections. Feel free to download the images below, share them, pass them around, and print and post them! I only ask that you don't sell them for profit. Let's all get out there and vote on November 6! Gigantic July Savings and New Art!